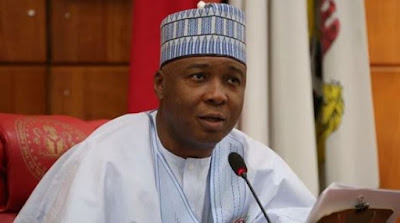 The President of the Senate of Nigeria and Democratic Party (PDP) presidential candidate, Bukola Saraki, explained why he was absent from the Independence Day parade in Abuja. Saraky, in a statement issued by his expert adviser to Saraki for media and publicity, Yushif Olaniyonou, said he was outside Abuja during the parade, Vanguard said. Olaniyonu, in his statement, said: "The Senate chairman and a first presidential candidate on the PDP platform is not currently in Abuja, he is currently in his home country, Kwara.
'' The Prime Minister holds today (yesterday) at Kwara and must be present and then meet with Kogi government representatives at the PDP National Assembly. These are two very important tasks that require his attention. " Meanwhile, Turaki Hassan, spokesman for the Speaker of the House of Representatives, Yakubu Dogara, said he had no idea if his boss was invited to the event or why he was not present at the ceremony. He said: "Actually, I'm from Abuja and I do not know what's going on there.